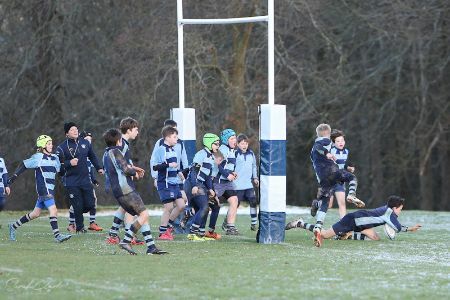 The U12As played at home against Dulwich. Dulwich only had nine boys but Charlie B and Finlay W kindly agreed to play for them and make it a more even contest. Charlie fielded many of the kicks, collecting the ball well and then charging forwards powerfully. 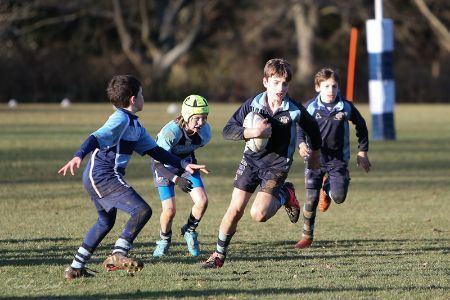 Finlay made some good carries too, and mostly managed to link up with the Dulwich boys before being tackled by his friends! Overall, our passing game was too strong for Dulwich. We took the ball forward, threatened defenders and then passed the ball wider to a supporting teammate. We scored some great tries like this. 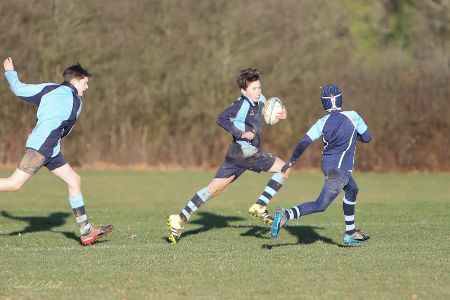 Dulwich kept competing but the end score was a comfortable 7-5 victory to Saint Ronan’s. 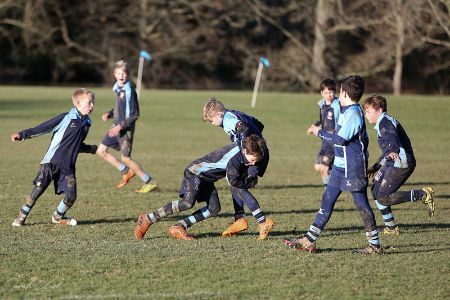 It was lovely to hear the Dulwich coach comment positively on the pleasant atmosphere created by the boys, all of whom displayed excellent sportsmanship.